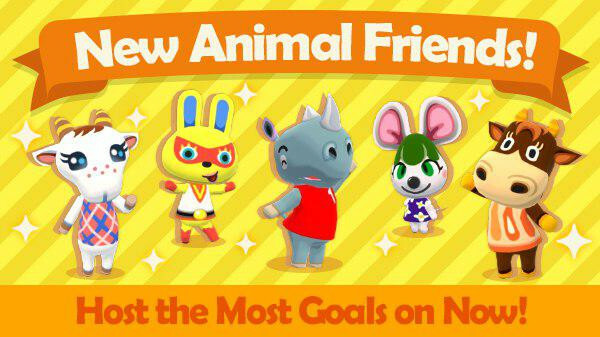 Five new animals have come to visit! Welcome Chevre the Goat, Mira the Rabbit, Tank the Rhino, Bree the Mouse, and Patty the Cow to town! Host the Most is also on. Invite villagers to your campsite and complete requests for them to earn prizes of calling cards, bells, or even Leaf Tickets.